Rock Cod Unit 35B Lot 56; TOT ID# 1638 This 3 bedroom, 2 bath pristine home is sited to capture unblockable ocean views. It features high-end appliances such as Subzero, Wolf, Thermador, and Bosch. Enjoy the large ocean view deck, outdoor BBQ, and peaceful garden courtyard. 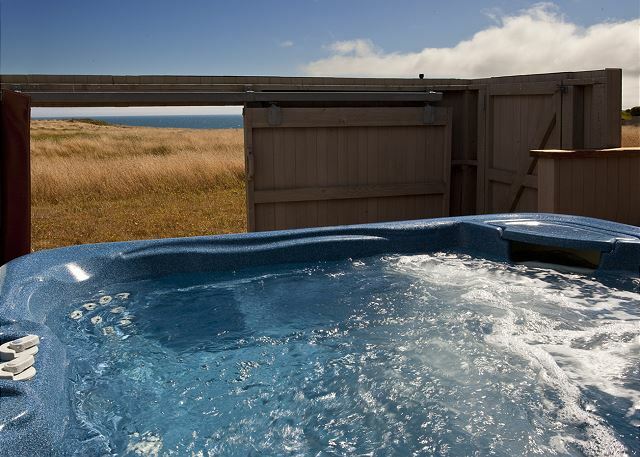 Relax in the dry heat sauna and take a dip in the ocean view hot tub. Ride 2 adult beach cruiser bikes. House includes a well-appointed kitchen, 250Mbps high-speed WiFi, Dish Satellite for two Samsung Smart TV's in the living room and master bedroom, plus built-in surround sound speakers. Beautifully designed and built by Steve Brodie and Empire Construction. We enjoyed our stay. We’ll definitely be back. Beautiful house with beautiful view in beautiful place. We'll be back! Absolutely loved Rock Cod. We used everything provided. We wanted to grill but don’t like messing with charcoal. Happy to have gas. I will admit, it could use a deeper cleaning. The sauna works great and we loved it. The doorless shower is wonderful. This was our first stay at Rock Cod after several other Sea Ranch homes over the years, and this will definitely be at the top of our list. 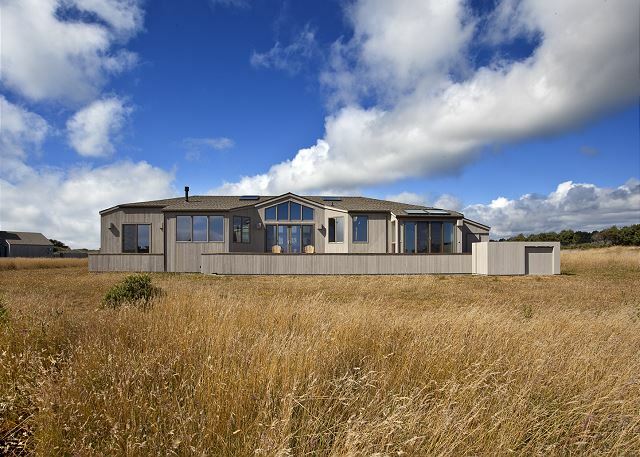 The location is a perfect combination of lovely ocean views, but also with the large meadow for wildlife viewing. The kitchen was well stocked and easy to cook in. Comfy living area with great entertainment system and fireplace. Beautiful bedrooms. We loved it and will be back! This was our 3rd time staying at Rock Cod and it continues to be perfect. Love the layout, love the location, love everything about it. We are 2 adults and 2 small children and it is truly the perfect house for us. We had am amazing stay at this property! 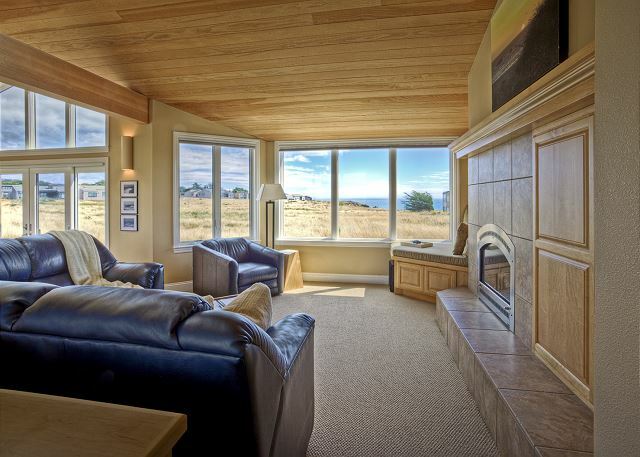 The floor plan of the property is spectacular and has great views out onto the ocean. The home is very well designed and has everything you could ask for. We cooked a lot and found everything we needed in the kitchen. We also had 2 young children and the house was great for them. 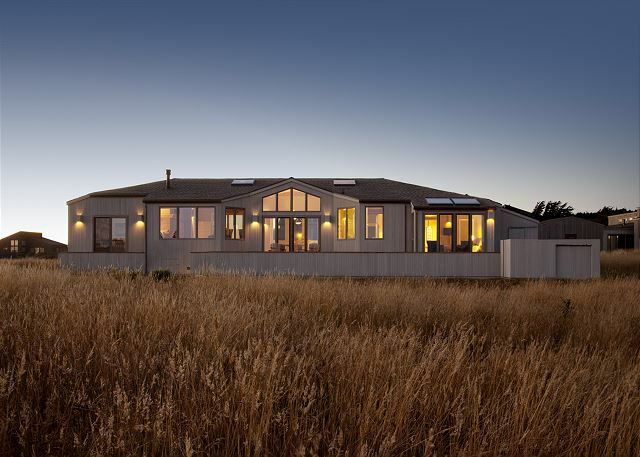 This house will be top of our list if we are looking at Sea Ranch again. Comfortable, modern, clean and roomy. Dry sauna is great. Love the view from the deck and hot tub. Nice linens. Great location, close to Gualala. Would stay here again. Very enjoyable stay - 4 adults, with 4-6 additional guests for dinners. We've stayed at Sea Ranch many times, and this kitchen was the best stocked ever - plenty of dishes, glasses, silverware, etc. Cooking utensils very good quality, even sharp knives! Preference would have been for a house closer to bluff with a better view, but this was certainly as described and quite satisfactory, and the rent was more affordable than some others. 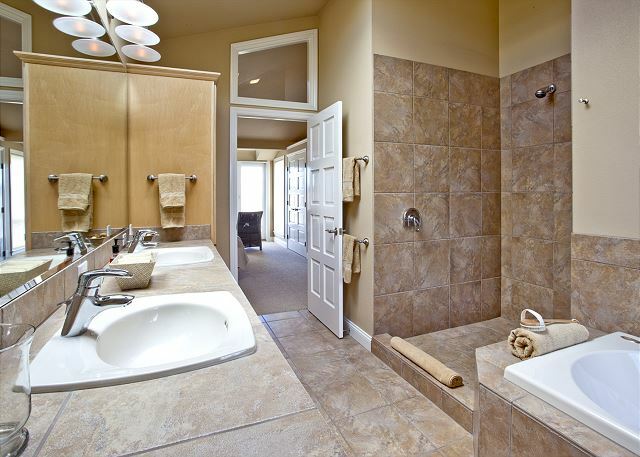 Very clean, and appears recently remodeled. This home is not large, and might feel a bit crowded if 6 adults were staying, but it was perfect for 4 (plus dinner guests), especially since bedrooms are separated by kitchen and living room area. Easy access to bluff trail, and close to town. Overall, most enjoyable 3 night stay. Fireplace is awesome! I stayed at the Rock Cod for my fourth time, and it was wonderful yet again. The home is nicely furnished, clean, and located close to the bluff trails and Gualala Regional Park, where I like to walk. The deck is perfect for enjoying a sunset glass of fine wine. I can't wait to stay there again. This was my second time at this property and I can't wait to go back. The location is perfect -- removed from the path by a field, but with a fantastic view. The house is perfect -- tasteful with room to move around, a well-stocked kitchen, outdoor grill and hot tub. Also near the north end of Sea Ranch, so easy to get up to Gualala for grocery shopping. I've been to several properties at Sea Ranch over the years and this ranks right at the top. It was a short trip but the house and location are awesome. I have stayed at several places in Sea Ranch and this is my new favorite. It is gorgeous and very well equipped. Also the Rental company was great to work with. We had a great stay even in the crazy stormy weather. Loved the gas fireplace and hot tub! The kitchen is well stocked. The beds were very comfortable and the central heating worked very well. We'd definitely stay here again! Lovely home. Most comfortable bed I have ever slept in. Could really use a coffee table in the living room. The Rock Cod was comfortable and clean with a beautiful ocean view. However, we did had lukewarm water for most of our stay (from Wed. to Fri). Apparently, the water heater was set too low. It made it very uncomfortable for us. 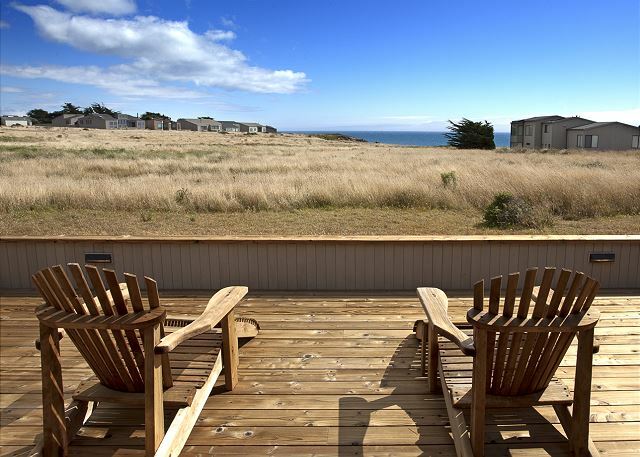 We are so pleased that you enjoyed your time on The Sea Ranch at the Rock Cod home! If you ever experience any challenges at one of our homes please call our office so that we can assist in fixing or resurrecting the issue as soon as possible. We were thankful that you did let us know about the water temperature issue so that we could send a handy man out to turn up the hot water heater for your last day. I recently stayed at the Rock Cod for the second time. It's the nicest home in the best location I've ever rented, and I've been renting in Sea Ranch since 1991. The view is spectacular from the deck and hot tub. The bluff trails and Gualala are nice and close. Even on a rainy day, I enjoyed the satellite tv, good internet and the gas fireplace. Before I left, I booked another stay at the Rock Cod in February. This was the second time we stayed at the Rock Cod, and it did not disappoint. Not only were the accommodations very comfortable and clean, but also we saw so many deer, wildlife and even a pair of frogs on the hot tub! The beds were super comfortable and the bunk bed was perfect for our kids. All in all a very relaxing time. Only issue is one of the blinds in the master bedroom was missing which is why we took one star off for maintenance. We enjoyed three relaxing days at this vacation home. 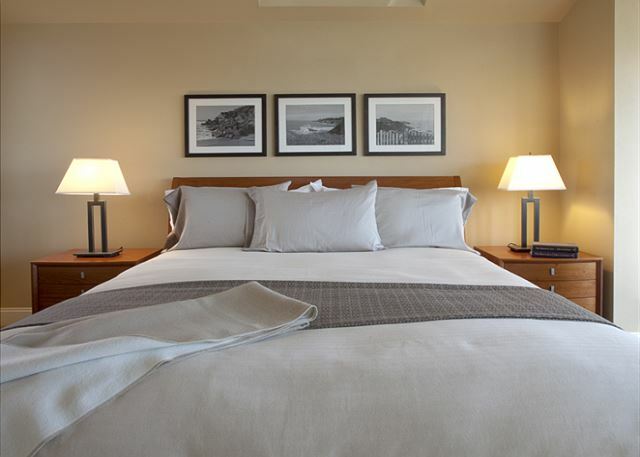 It has a spacious, open layout with quality furnishings and ocean view. Kitchen was very well stocked (eg, waffle maker, regular blender, immersion blender, drip coffee maker, French press, popcorn maker, Crock Pot, baking pans). 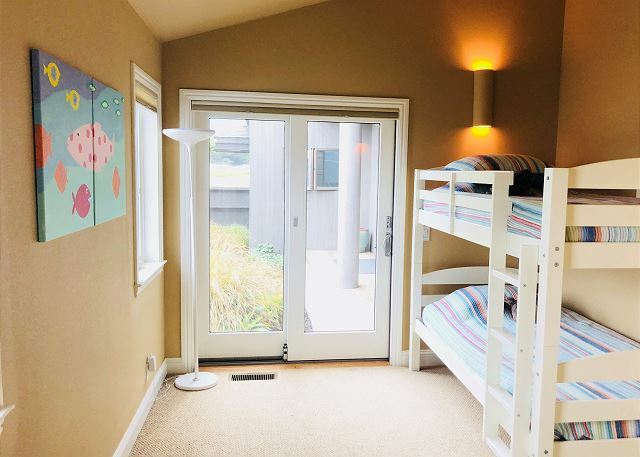 Our kids loved the bunk beds and exploring the game/puzzle closet. This was our second year renting Rock Cod. The house and location is perfect! We are already looking forward to coming back next year. 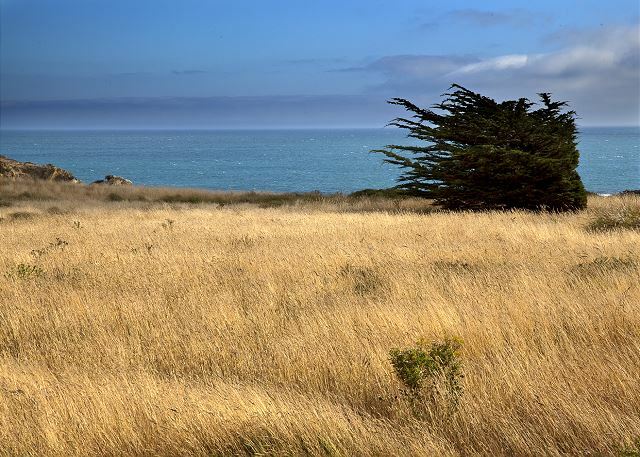 My husband and I have stayed at The Sea Ranch many times over the past 25 years but now that we live in Southern California, it is harder to get there. Well, this was a great 4 day break from our work schedules to visit with our friends from San Francisco. It's remarkable to me that it is still so peaceful and quiet with few people around. However, the ocean was not quiet as we had several heavy storms which made this a bigger adventure! This is a great house that would be good for two couples or a family with small children as the third bedroom had bunk beds. 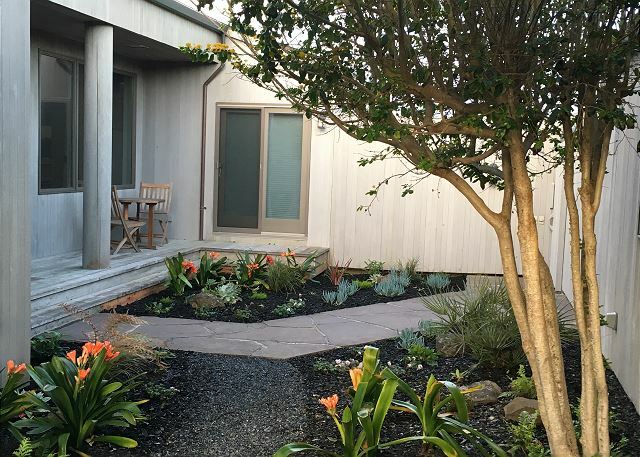 Easy walk to the water's edge and close to Gualala for services. A big thumbs up to the architect and builder of this home, nicely done! The only downside was the sauna was not working but Beach Rentals told us that if we had called right away, they could have had a repair guy out immediately. The towels are also not as big or as fluffy as you might want - this could be an opportunity for Beach Rentals to upgrade the experience for their clients. Rock Cod is user friendly. Open access in the kitchen and living room, bathrooms. The bunk room is tight didn't work so well for our group. Loved the extras of hot tub and sauna. Garden entry added to the ambience of the house. The house was the perfect getaway from San Francisco. Was so quiet and peaceful. The house was located in the perfect sub vision to see the ocean and hear the waves crashing against the shoreline. 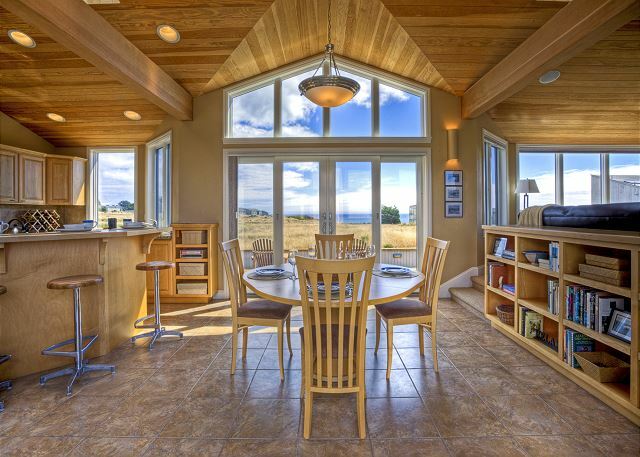 This is a lovely new meadow house -- pristine, with pleasant blue water views from almost every room. 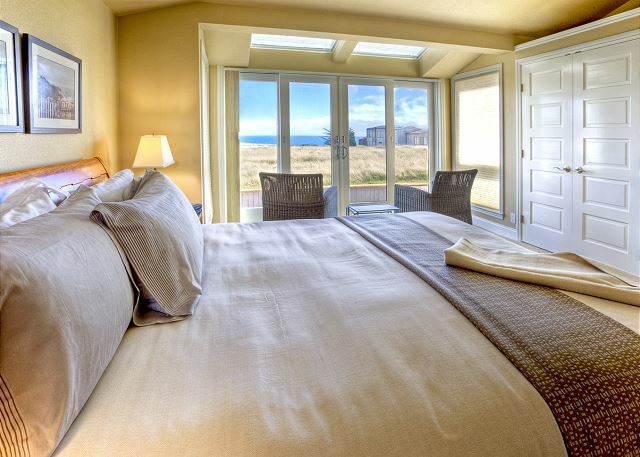 The bed in the master bedroom was the most comfortable we've experienced in Sea Ranch. In terms of suggestions, the kitchen was not well stocked -- e.g., no pot to boil water for pasta, no large platter, and only 3 actual wine glasses. The living room was pleasant, but was sparse -- it had no coffee table, end tables, or lamps. It would also be nice to have a table on the deck ~ perhaps these things will come with time. Overall, we were very pleased. Pasta and wine lovers are in business! We added these items plus some additions to the living room. The back deck has a side table with the Adirondacks and the front deck has two chairs and a bistro table. Dream weekend getaway. A few suggestions for the owners: add some shampoo/conditioner minis, change the TP to two-ply, add yoga mats. Loved the kids books and games closet. Window seat in the family room is amazing. I have stayed at The Sea Ranch many, many times over the years, starting in 1986. In 2011, life got in the way--divorce, elderly parents in decline, etc. This was my first stay since then, and I was not disappointed. The Rock Cod is the nicest home in the best location (close to Gualala) with the best view I've ever had. It's nice to know that no matter what, the ocean will still be there and there are beautiful places to stay and enjoy it. Great house, great location, great amenities. Great! Beautiful house, well appointed and spotless. We spent 5 terrific days in August and enjoyed sunny beach weather. The rental agent was very accommodating and gave us great service! This house was nicely furnished and having linens provided was a plus! The view was great from every room and there were always lots of deer to see in the mornings and evenings. The only downside, if I had to think of one, the kitchen wasn't as stocked with cooking appliances as I would have liked. Being new to the rental market, it's understandable. I did have to buy a potato peeler and meat thermometer. No big deal though, the Viking range made up for it! I will stay here again without hesitation!! Oh and P.S. I believe it said there was a TV in the room with the queen bed, there was not. Maybe it was my mistake though. Owner Comment: Great suggestion, we added a potato peeler and meat thermometer. The second TV is in the master room with king bed, as stated in the description. This house was fantastic. Everything is brand new, the kitchen is well set up for those who like to cook with an open floor plan. While the house isn't super spacious, it is layed out well. The Master bedroom is on one side of the house and the other two bedrooms are far enough away to feel private. The view from the deck is beautiful and the hot tub and sauna were well maintained and lovely. Only downside is there is not an accessible beach within walking distance. Owner Comment: Beach access is close to the house, less than .25 miles away. It’s a little tricky to find so we added directions on how to get there! Rock Cod was the perfect vacation rental for my family. The location was spectacular and the house was clean, well equipped, and laid out beautifully. We will definitely be returning. Incredible home. The perfect location. Our family enjoyed the area and were extremely happy with the house. We will stay here again in the future.